Lane Selman grew up on a citrus farm her Sicilian great-grandparents planted in 1919 on Florida's Space Coast. She has a Bachelors in agronomy and a Masters in entomology, both from University of Florida. In 2000, she moved to Oregon and, since 2005, has been an agricultural researcher at Oregon State University working with organic farmers on participatory research projects. In 2012, Lane created the Culinary Breeding Network to build communities of plant breeders, seed growers, farmers, produce buyers, chefs, and other stakeholders to improve quality in vegetables and grains. She has been the recipient of many awards, including the Award of Excellence for Organic Advocate by the Oregon Organic Coalition in 2016, of which she is most proud. 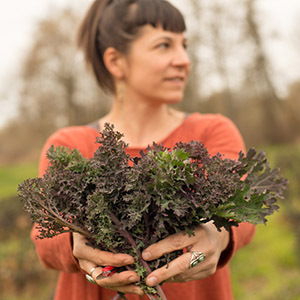 She currently serves on the Portland Farmers Market board and the Modern Farmer magazine advisory panel. Lane lives in Portland, Oregon.